Haan Wheels produces complete wheels for the many adventure motorcycle models. Our wheels are built with the best quality parts available and they are available in many color combinations for the hubs and rims. 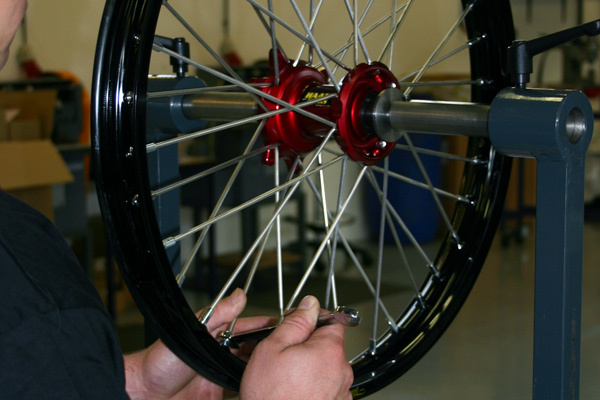 Haan Wheels are built with our hubs that are 100% made in the Netherlands. The hubs are made from billet 6082 T6 alloy on the newest CNC machines. 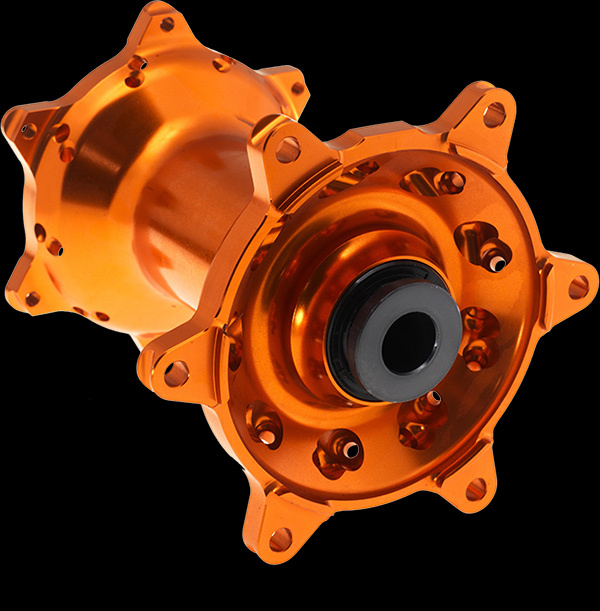 Hubs are anodized and available in various colors. 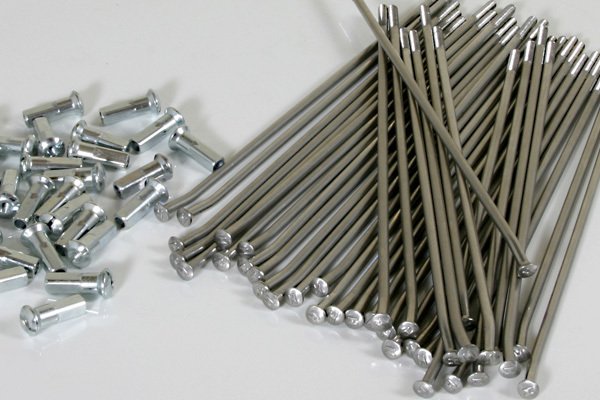 The spokes we use are made from a special stainless steel mixture. This spokes have a 30% higher tensile strength and way less stretch compared to original wheels. The spokes keep a nice and shiny look when used in all weather and dirt conditions, thanks to the special stainless steel mixture.